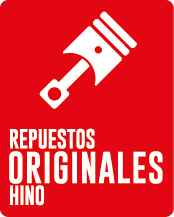 Con una historia de mas de 100 años, estamos presente a nivel mundial en mas de 90 países, que hacen llegar la calidad de los productos del Grupo TOYOTA a cada rincón. 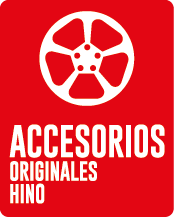 Clientes con distintas necesidades, negocios y condiciones geográficas tienen un factor común, la calidad del camión HINO que les permite lograr el mejor negocio en el día a día. Cuidamos de cada detalle, por eso, es importante la máxima calidad de los componentes con que construimos nuestros productos como así también una estructura comercial para acompañarte en cada paso que des. Por eso en Latinoamérica nos encontrarás en cada lugar que recorras, en cada negocio que realices acompañándote y estando al lado tuyo. 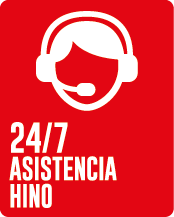 La experiencia de miles de clientes alrededor del mundo, son nuestra mejor inspiración para seguir mejorando en cada aspecto que detectamos como una oportunidad. Tokyo Gas Industry Co., Ltd. was established. Corporate name was changed to Tokyo Gas and Electric Industry Co., Ltd.
Mass production of motor vehicles began in Japan. The Automobile Division of Tokyo Gas and Electric Industry Co., Ltd., Automobile Industry Co., Ltd. and Kyodo Kokusan K.K. were merged into Tokyo Automobile Industry Co., Ltd.
Corporate name was changed to Diesel Motor Industry Co., Ltd.
Hino plant was separated from Diesel Motor Industry Co., Ltd. and renamed Hino Heavy Industry Co., Ltd. to produce military track-laying vehicles. Production of heavy-duty tractor and trailer cargo and coach and diesel engine began, in response to a shift in demand from the private sector. Corporate name was changed to Hino Industry Co., Ltd. The Sales Department was separated and re-established as Hino Diesel Sales Co., Ltd. Corporate Name was changed to Hino Diesel Industry Co., Ltd.
Hino was listed on the Tokyo Stock Exchange. Production of heavy-duty diesel truck and bus began. Japan' s first ever trolley bus was introduced. Technical collaboration with Renault (France) resulted in the production of the Renault, a passenger vehicle. Hino-Renault Sales Co., Ltd. established. Japan' s first center under-floor engine bus was introduced. Hino Diesel Sales Co., Ltd. merged with Hino-Renault Sales Co., Ltd., and was renamed Hino Motor Sales, Ltd.
Hino Diesel Industry Co., Ltd. was renamed Hino Motors, Ltd.
"HINO CONTESSA 900", an in-house developed passenger vehicle, was introduced. Operations commenced at Hamura plant in Tokyo. "HINO RANGER KM", Japan' s first 3.5-ton medium-duty truck, was introduced. Small vehicle factory was completed in the Hamura plant for the production of the TOYOTA HILUX. Hino received the Deming Award. Japan's first body-framed touring coach was introduced. Operations commenced at Nitta plant in Gunma. The redesigned “KAZE-NO-RANGER SERIES” medium-duty truck was launched. The redesigned “SUPER DOLPHIN SERIES” heavy-duty truck was launched. Operations commenced at Gozenyama Proving Grounds in Ibaraki. Hidaka Delivery Center was established. Domestic sales of "RANGER series" reached 500,000 units. The redesigned "S'ELEGA” touring couch was launched. The world's first diesel-electric hybrid system “Hybrid Inverter-controlled Motor & Retarder (HIMR)” powered bus was announced. 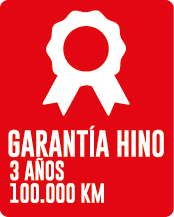 Hino participated for the first time in the truck category at the Paris-Dakar Rally. The redesigned “SUPER DOLPHIN PROFIA SERIES” heavy-duty truck was launched. New symbol mark and logotype were adopted. The redesigned “LIESSE SERIES” light-duty bus was launched. New “DUTRO” light-duty truck was introduced, jointly developed with Toyota Motor Corporation. Hino Motors, Ltd. and Hino Motor Sales, Ltd. merged into Hino Motors, Ltd.
Hino became a subsidiary ofToyota Motor Corporationthrough private pacement. The light duty hybrid truck was launched, conforming to new stricter regulations on exhaust emissions, effective as of 2005. Low emission high-mileage HINO RANGER Hybrid was introduced. 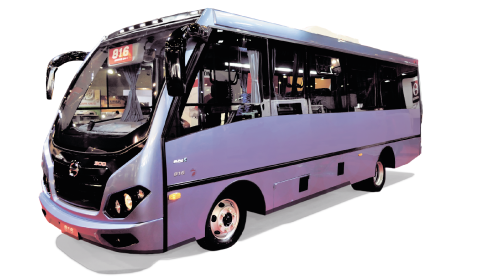 Non-step large-sized hybrid route-bus HINO BLUE RIBBON CITY Hybrid was introduced. “HINO RANGER” medium-duty truck was launched, to meet new long-term emission regulation. The redesigned “HINO S'ELEGA” was launched, to meet new long-term emission regulation. “HINO PROFIA” heavy-duty truck was launched, to meet new long-term emission regulation. Customer Technical Center was established at Hamura plant. 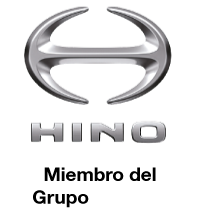 Hino Motors Sales Canada, Ltd. began assembling trucks and changed its name to Hino Motors Canada, Ltd.
Australia’s first light-duty hybrid truck was introduced. Annual overseas unit sales exceeded domestic unit sales for the first time. Cumulative exports reached one million units. Hino Motors Manufacturing Colombia, S.A. began assembling trucks. Hino Motors Sales, LLC was established in Russia. Low emission high-mileage HINO S'ELEGA Hybrid was launched. PT. Hino Motors Manufacturing Indonesia began the additional production of light-duty trucks (HINO 300 Series and TOYOTA Dyna) in Indonesia. 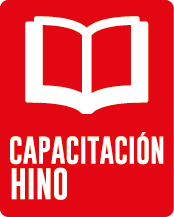 Hino Motors Manufacturing Mexico, S.A. DE C.V. began assembling trucks. A joint venture company, GAC Hino Motors Co., Ltd. began assembling trucks in China. The cumulative production of Hino trucks and buses reached three million units. Toyota and Hino provided fuel-cell bus for Tokyo airport routes. Hong Kong's first light-duty hybrid truck was introduced. 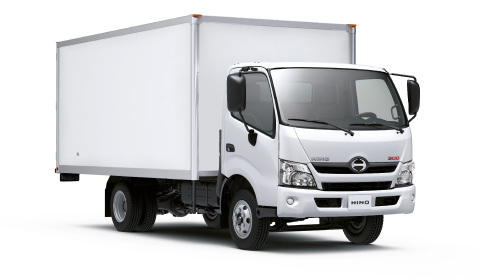 New light-duty truck HINO300 Series was launched. Operations began at Koga knock down factory. Hino Poncho electric bus entered pilot service. Light-duty Electric Vehicle truck entered pilot service. The cumulative sales of HINO hybrid trucks and buses reached ten thousand units. Hino attained top position in heavy and medium duty truck sales in Japan for the 40th consecutive year (FY2012). The cumulative number of driving seminar participants at the Customer Technical Center exceeded 50,000. *Japanese Fiscal Year runs from April 1 to March 31. Trucks and buses, light-commercial vehicles, passenger vehicles (commissioned from Toyota Motor Corporation), various types of engines, spare parts, etc.